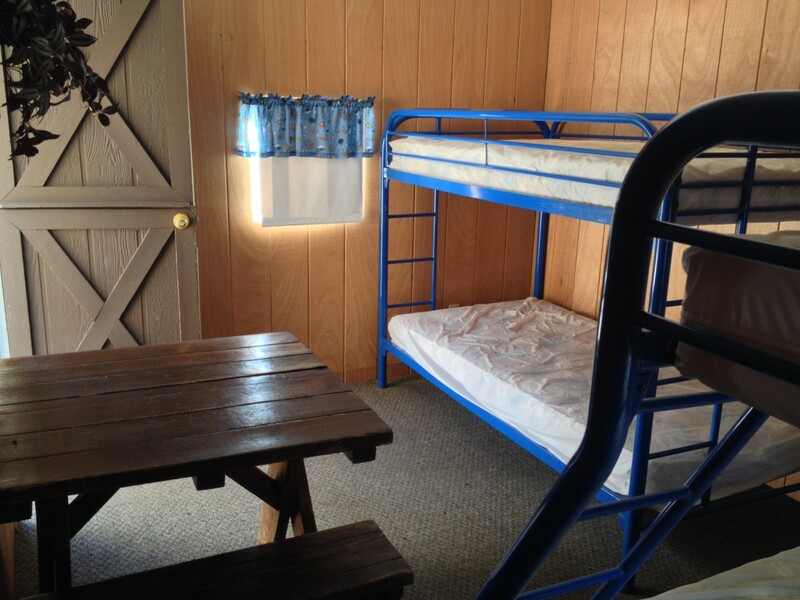 When you rent a cabin camping in Estes Park Jellystone, it’s roughing it…. but not really! 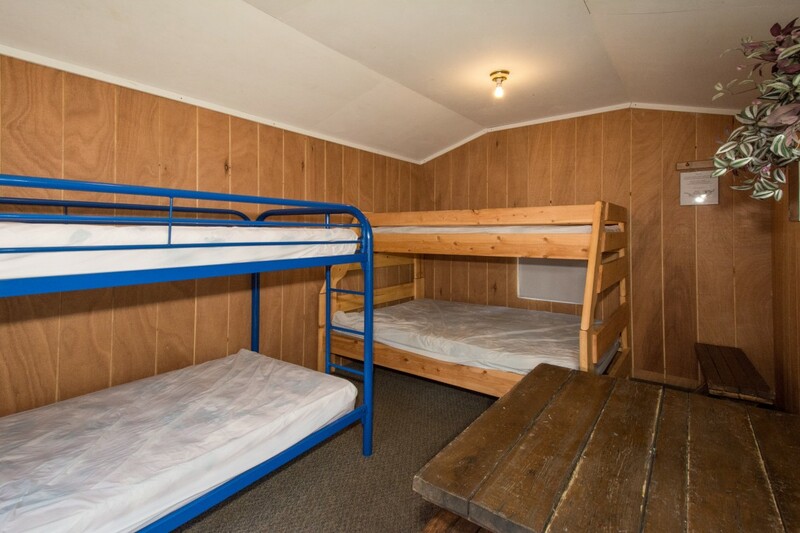 Our camping cabins in Colorado come with two sets of bunk beds. 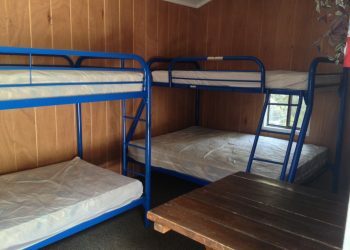 One twin over twin and the other bunk has a double bed on the bottom and a twin on the top. 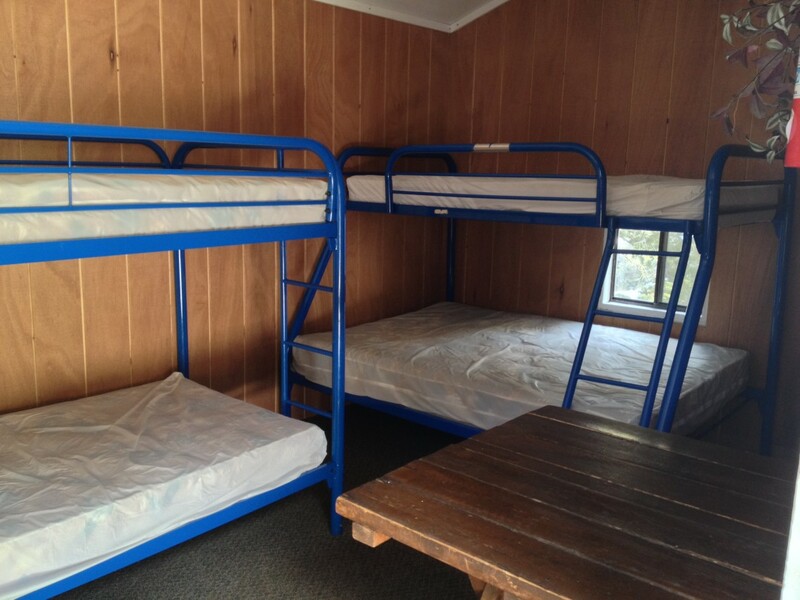 Guests bring their own linens. There is also a small table, electrical outlets, space heater. Outside enjoy a pic a nic table and fire pit. 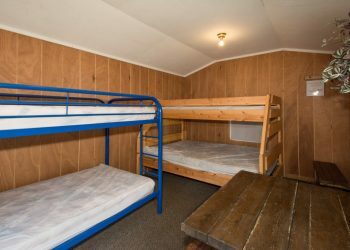 So get ready to experience a great time camping in Colorado with your family and friends at Estes Park.